Mobile skid lpg gas filling station is mainly used for filling domestic lpg gas cylinders and lpg gas trucks. 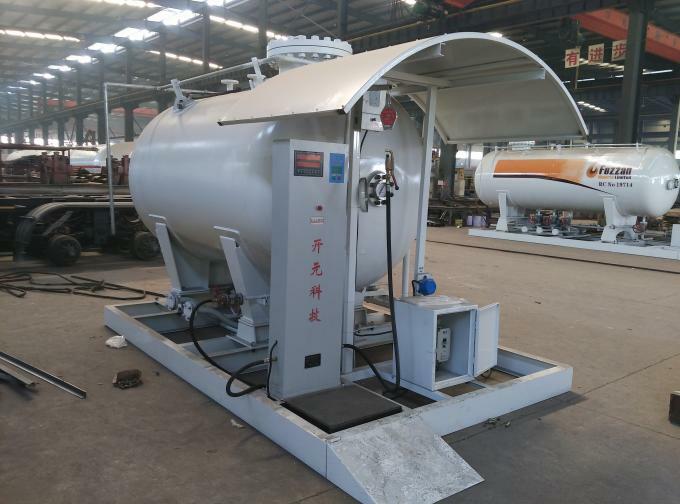 The skid system lpg gas refilling station is made up of lpg gas tank, accessories for lpg tank, lpg gas pump and motor, electronic scale with filling nozzles(electronic lpg gas dispenser), safe electronic system, etc. 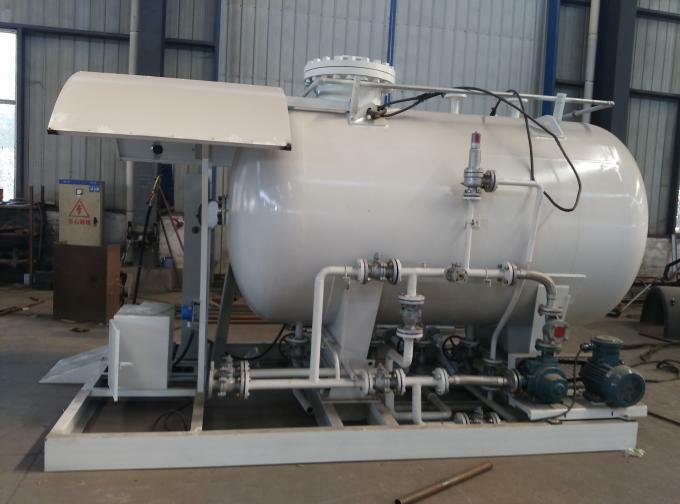 At present, Chengli Special Automobile Co., Ltd. could design and produce 5m3, 8m3, 10m3, 12m3, 15m3, 20m3, 25m3, 30m3, 32m3…..120m3 interated mobile skid mounted lpg gas filling plant. etc. More pictures of hot sale 5m3 skid lpg gas filling plant as below. Manufacturing Standard: Pressure vessels, Supervision Regulation on Safety Technology for Stationary Pressure Vessels of China. Other accessories:Cut-off Valve, Needle Valve, Safety Valve, Liquid level meter, Pressure gauge, Temperature Gauge.